Zabbix Agent is installed on remote systems needs to monitor through Zabbix server. The Zabbix agent collects resource utilization and applications data on client system and provide such information to zabbix server on their requests. 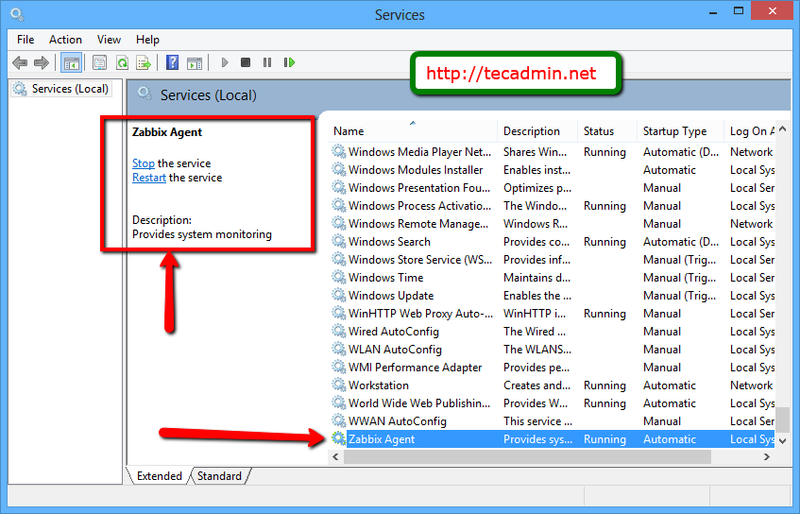 This article will help you to install Zabbix agent service on windows system. Also visit our other article to install zabbix agent on CentOS/RHEL and Ubuntu/Debian Systems. 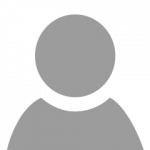 Download latest windows zabbix agent source code from zabbix official site or use below link to download zabbix agent 3.0.0. After downloading the zipped archive of zabbix client, extract its content under c:\zabbix directory. Now make of copy of sample configuration file c:\zabbix\conf\zabbix_agentd.win.conf to create zabbix agent configuration file at c:\zabbix\zabbix_agentd.conf. Now edit configuration and update following values. Lets install zabbix agent as windows server by executing following command from command line. Also we can start/stop/restart from windows services control panel. To open services control panel use below steps. Congratulation’s! You have successfully installed Zabbix Agent on Windows system. Lets Add Host in Zabbix Server to be monitor. Yes, Zabbix is a server/client structure. Zabbix server need to install on one instance, this provide you Zabbix UI. Then you need to install Zabbix agent on each machine, you need to monitor. To fetch data from any machine, Zabbix connects agent on that system and collect data of that machine. Disk space is less than 1MB. It uses about 20MB of RAM for typical workloads and less than 0.03% CPU. Great article and very useful thank you! One challenge for me was how to install the agent on hundreds of servers. If you’re interested, I’ve created an open source MSI builder (with WiX) to install the agent as you’ve described above.